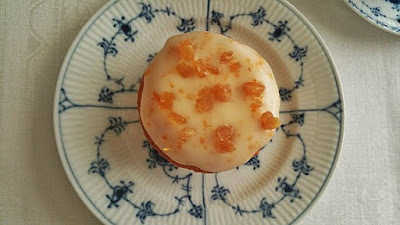 There is an amazing bakery called Stålbloms down near my summer house on the west coast of Sweden. All of their cakes are gorgeous and delicious. Their Princess Cake is divine. They make the best Semlor that I have ever tasted, a cardamom flavored bun that is filled with marzipan and whipped cream and only served during the Spring. It always amazes me that this bakery, in a little town in the countryside, rivals the best bakeries in Stockholm. While all of their cakes are memorable, there is one that I dream about. It is an unassuming plain little cake topped with a glaze and sprinkling of candied orange peel. 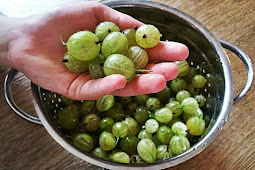 Even if I am tempted by one of the more glorious looking cakes to eat for my fika, which I love to take in their pretty garden, I buy one of these to take home with me and eat slowly while gazing out at the sea. 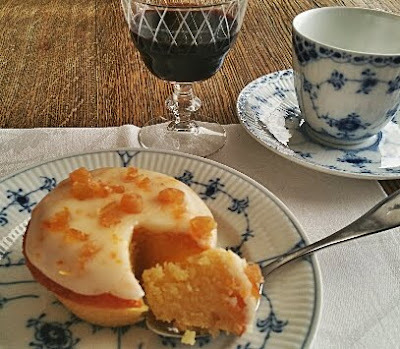 They call these cakes Falkenbergare, after the name of the town Falkenberg, where Stålbloms was founded. These cakes are sticky and dense, almost custardy. They are rich but not cloying. 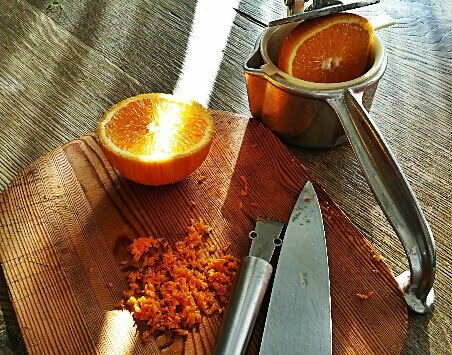 The combination of almond and orange is delectable. I have googled the name of this cake several times and I have kept an eye out for these cakes at every bakery that I visit. But I have never found a mention of them on the internet or seen them at any other bakery. Preheat the oven to 190C (375F). 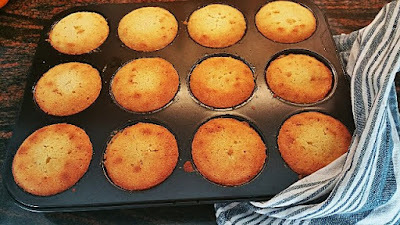 Butter a muffin pan or other small cake forms. Grate the marzipan to make it easier to incorporate into the butter. 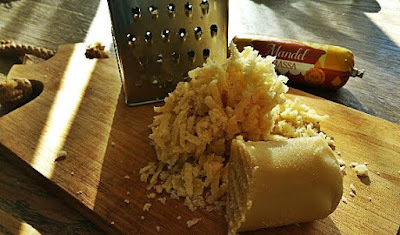 Put the marzipan and butter into a large bowl and mix with an electric mixer until it is well mixed and creamy. 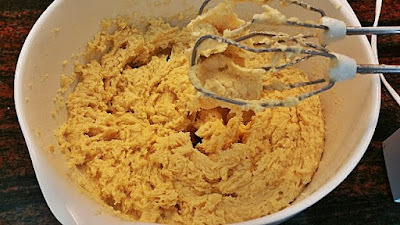 Add in the potato flour (or cornstarch) and the eggs, one at a time, mixing until each egg is well incorporated. The batter will become lighter and fluffy with each additional egg, but still be very thick. 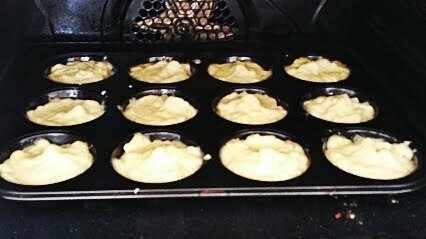 Divide the cake batter into the muffin tin or forms, filling each form almost full. Bake in the oven for 12 to 15 minutes until browned on top and a toothpick comes out clean. Take the cakes out of the oven and let cool. While the cakes bake, you can make the glaze. 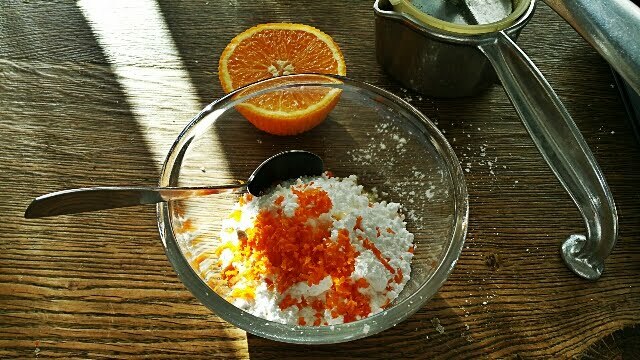 Put the powdered sugar in a bowl with the orange zest. Add in some orange juice, a few drops at a time and stir until the glaze feels thick enough to spread easily but not so thin as to be drippy. When the cakes are cool, unmold them and top each cake with a spoonful of the glaze and spread the glaze around the top. 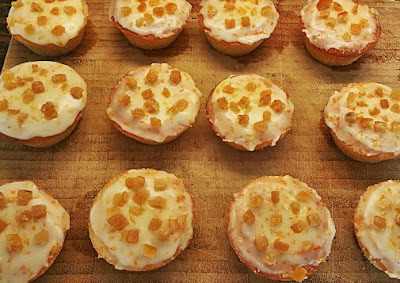 Sprinkle some candied orange peel on top of each cake. Eat reflectively and slowly, preferably while staring out at the sea. * This cake calls for a marzipan that is 50/50 sugar and almonds. 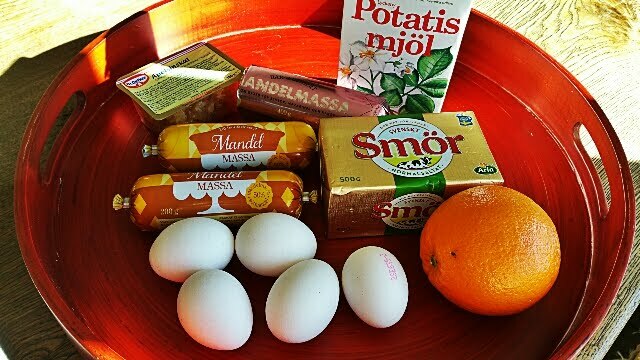 In Sweden, this mixture is called mandelmassa or almond paste. Marzipan in Sweden is more sugar than almonds about 60/40. Made these yesterday. The aroma while they were baking was wonderful, and the combination of orange and almond was delicious. Not difficult or time-consuming to make, and the result is really special. Thanks for the inspiration, Lan-Ling!